Sky Business Centres supports ‘Moyee Coffee’ Fairtrade coffee production supporting local jobs, incomes and skills, tackling poverty whilst keeping coffee production inside developing third world countries. 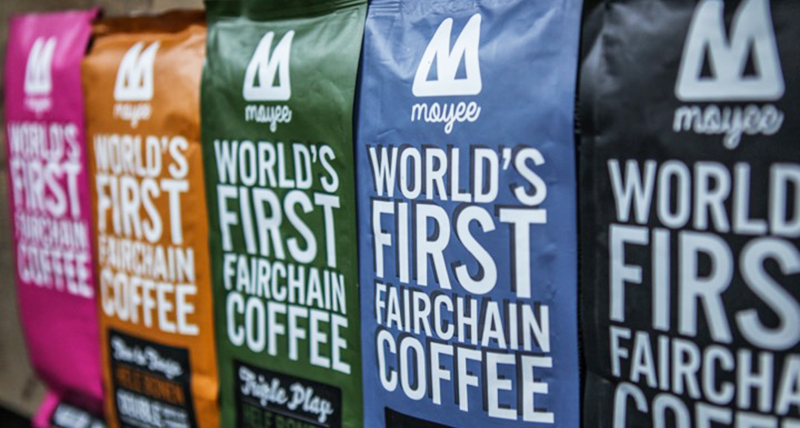 Sky Business Centres located in Blanchardstown, Clonshaugh and Clontarf are delighted to be part of FairChain, adopting ‘Moyee Coffee’ a deep aromatic blend of richly roasted Ethiopian coffee beans which is enjoyed by all our corporate clients daily. Moyee Coffee is not your average coffee company. While ‘Moyee Coffee’ do make awesome coffee their goal is to radically change the way coffee is grown, roasted and delivered. By roasting Moyee Coffee in Ethiopia they create more local jobs and ensure more profit stays in the hands of the people who contribute most to the coffee chain. FairChain is based on the principle of shared value. It is a true 50/50 partnership with producing countries where their coffee is grown and roasted. By roasting locally, they can create more local jobs and ensure more profit stays with the people who contribute most. Coffee that offers real opportunity while reducing the need for development aid. In 2016 Killian & Shane – both graduates of the Innovation Academy in UCD – met to discuss the potential of creating a new coffee social enterprise. Both had travelled in the coffee belt (Shane in South America and Killian in Africa) and had seen first hand how unfair the country industry can be. Focused on the principle of shared value, the two aimed to bring African roasted coffee to Ireland to provide better quality to consumers while supporting more value, jobs, profits and expertise to remain in the coffee belt. 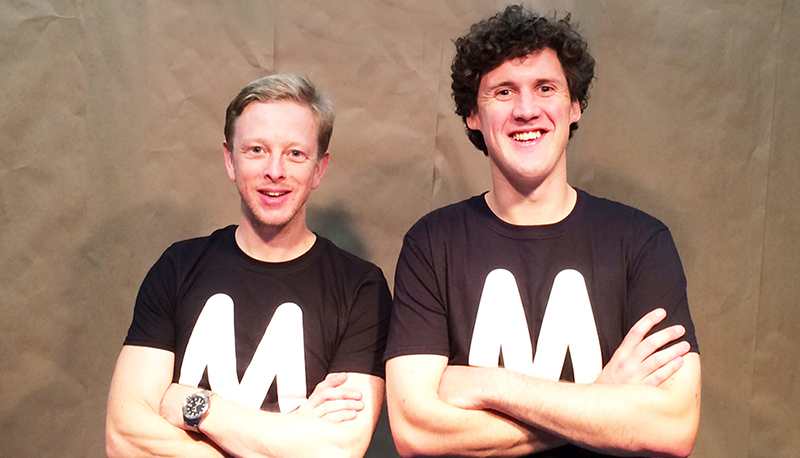 After seeking the advice of Dublin based NGO, Proudly Made in Africa, Shane and Killian discovered a unique Dutch coffee enterprise Moyee Coffee who were doing something very different. 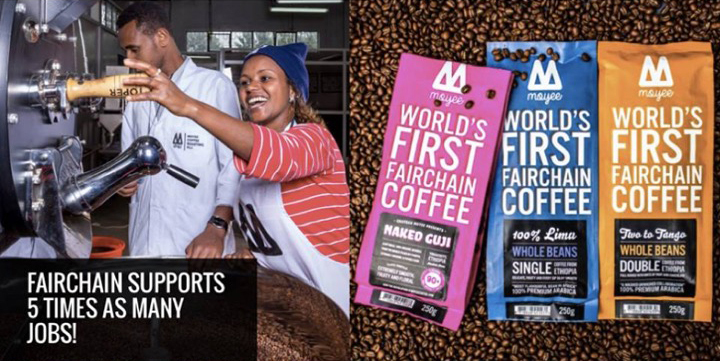 Originally set up by entrepreneur, Guido Van Staveren, the company was producing speciality coffee from bean to bag in Ethiopia and was seeking to expand beyond the Netherlands. After a visit to Ethiopia to see the roastery and meet the coffee farms and a meeting with the sales team in Amsterdam the two became convinced that rather than reinventing the wheel they could achieve positive social impact by collaborating with Guido and his team to bring ‘Moyee Coffee’ and the FairChain movement to Ireland, the UK and beyond. When we think about the products on supermarket shelves, there isn’t a level playing field. Take wine and coffee for example. The French don’t export green grapes. They export bottled and branded wines and consumers pay more for premium French wines such as Bordeaux, Burgundy and Champagne. As a result, more jobs, income and profits stay in France and France makes about €12bn a year from its wine exports. At the same time, a big coffee-producing country like Ethiopia only earns €760m from coffee. Both are premium products, so what’s the problem? Fairtrade has been fantastic for raising awareness but it was supposed to address this imbalance. Fairtrade in the UK announced sales of £1.64bn recently for products with their certification. That gave farmers £30m in “premium payments” for their products. After 20 years of campaigning, that’s not a lot of added value for producers. Coffee is exported out of the coffee belt as raw green bean and so even if coffee farmers earn slightly more with Fairtrade premiums, most of the jobs, income and profits from coffee are exported out of the coffee belt. Ethiopia is the birthplace of coffee, the home of Arabica and the producer of some the finest beans in the world including Harrar, Sidamo and Yirgacheffe beans. It is Africa’s largest producer of coffee, coffee accounts for 30% of its exports. 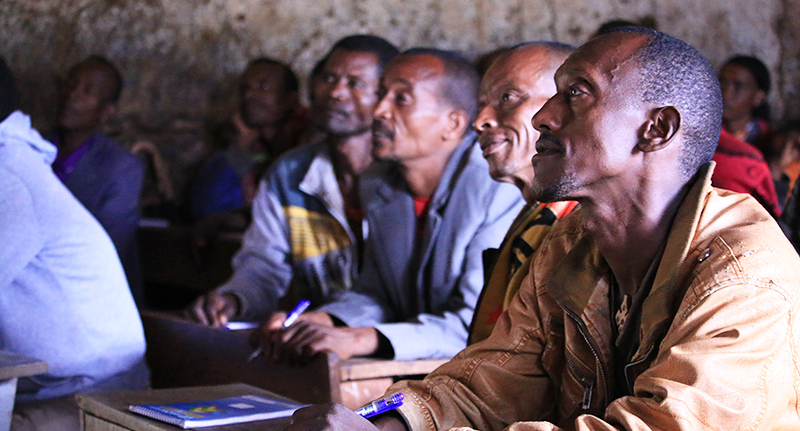 1 in 4 Ethiopians rely on coffee for their income. That’s about 20 million people. Ethiopia should earn enough to power its economy, but as that value’s being added in the West, it has to rely on about €3 billion in foreign aid per year. Ireland is a major tech hub in Europe and tech workers are big coffee fans. The average tech worker in Ireland drinks about 2.5 cups of coffees in work every day and research in the UK shows that 1 in 3 tech workers expect a great cup of coffee at work while 2 in 3 saying that great quality coffee in work makes for a better place to work. Sky Business Centres are delighted to be brewing ‘Moyee Coffee’ across our three centres, our clients look forward to freshly made coffee throughout their working week. ‘Moyee Coffee’ beans are available to purchase online at moyeecoffee.ie/shop and throughout a growing number of select stores.